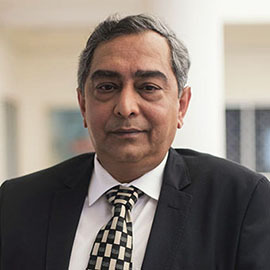 Today’s interview is with Dr Partha Pratim Das is Professor, Department of Computer Science & Engineering, Head, Rajendra Mishra School of Engineering Entrepreneurship, Professor-in-Charge, IIT Kharagpur Research Park, Kolkata, and Joint Principal Investigator, National Digital Library Project, Indian Institute of Technology. 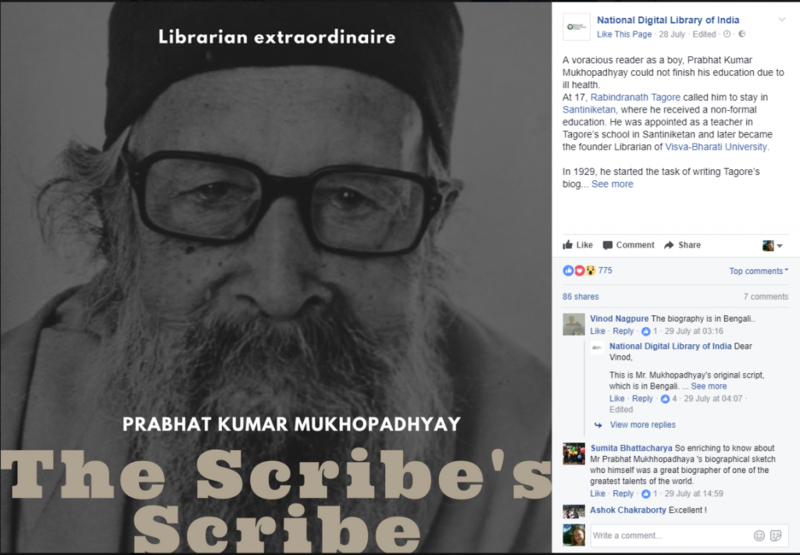 The National Digital Library of India launched in July 2017. It is a virtual teaching-learning-evaluation-knowledge discovery and innovation platform. It represents a movement to reach out to people in every corner of India with educational content. It provides a range of material from books, papers and theses to class lectures, audio books, tutorials, assignments, and educational games. The library is open source and designed to support collaborative learning. Find out more on Facebook, LinkedIn or Twitter and download the NDL mobile app. Why is open culture important to you? To be a true Indian. We do believe – knowledge is free. Addressing the first Parliament of World’s Religions in 1893 at Chicago, Swami Vivekananda addressed the august gathering as ‘Sisters and brothers of America!’. These words came spontaneously from the depths of a saint’s heart; but for us it has become a mantra – a mantra to welcome the world in open arms. That’s India – my inspiration for every morning, each day. Anyone who has not broken up her/his world into fragments by narrow domestic walls. India is a country of diversity – several languages, varied and rich culture, multitude of religious and political faiths, wide geographic and climatic conditions, deep economic disparity – yet we are united, we are together, we are one nation, we have many ‘Bharat’s; but one India. We understand, we care for all sections. This unity in diversity is the backbone of our open culture. Every citizen of India benefits from it as we all remain tolerant and understanding for everyone’s needs. We share our openness with the world beyond the geographic and political boundaries of our nation. 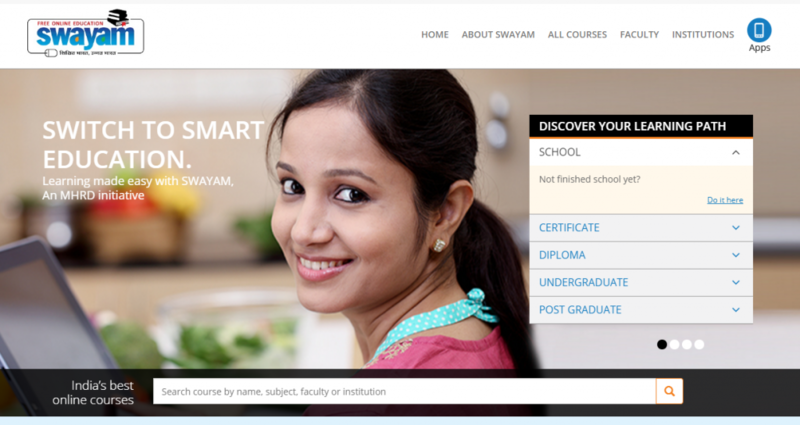 Digital initiatives of India in Education, in general; and National Digital Library of India, NPTEL Videos, and SWAYAM (Study Webs of Active Learning for Young Aspiring Minds) Programs (India’s MOOCs), in particular. Besides being freely available to the whole of India, these are now open to the world. To democratize education for all. India with its large population, diverse geography and socio-economic disparities, requires that resources like educational material to be affordable and accessible. Only with democratization of resources can the population achieve their intrinsic potential. In an open culture, resources are accessible to all which allows sharing and collaboration of existing as well as new ideas. The absence of regulatory and other restrictions is important so that beneficial ideas can be realized for real social benefits for all. Open culture is going to be the lifeline of human existence on the planet. If I had all the powers, I would setup an Open World University and promote open culture as a means of survival. culture and India’s right to accept from others their best. Given all powers, I would build a Visva-Bharati in every corner of the globe and attempt to solve all conflict of humanity through open dialogue and mutual cooperation. World cinema, world dance, and world heritage. Dances for the Gods: http://www.dancingforthegods.org/ – an interactive multimedia website dedicated to Bharatanatyam, one of India’s oldest and best-loved classical dance forms.